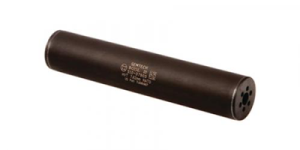 As the Class III Firearms dealer in Sheridan, Big Horn Trading is your source for high-quality suppressors and accessories at great prices. We carry suppressors that are designed for precision, optimized for accuracy and are light-weight and durable. Suppressors reduce noise, muzzle flash and recoil, lowering the potential for hearing damage and allowing you to focus on shooting fundamentals. For whatever reason you decide to purchase a suppressor, our line of Gemtech, SilencerCo, and Thunderbeast products will deliver the type of performance you’ve been waiting for. Shop our online store to find the right suppressor today!